Simply...Delicious! 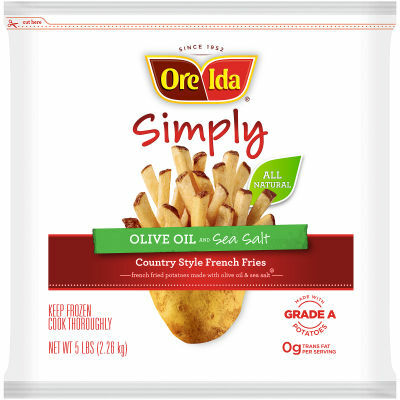 Ore-Ida Simply Country Style French Fries are delicious French Fries your whole family is sure to love! With premium, all-natural ingredients including grade A potatoes, olive oil and sea salt--they make a perfect addition to your family's favorite meals--from burgers & hotdogs, to chicken, pork chops and steaks. ; Since 1952. Serving size 3 oz (84g/about 13 pieces).